Are you considering extending your property portfolio? 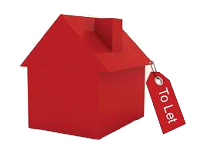 Have an existing property that you are looking to rent out? If this is the case, a buy to let mortgage could be just the thing for you. Many people can see the benefits of investing in bricks and mortar and rightly so as it can be financially rewarding. Here at First Choice we see the value in property just like you. We feel it is important for buy to let mortgages to be accessible to those who need or want them as a sound investing tool. Whether you have just entered the rental market or are simply looking to release some equity from an existing property a buy to let mortgage or remortgage could be the difference between a good portfolio and a great one. First Choice is here to help with all of these tricky questions to fully maximise your property investments. With access to a wide selection of lenders, both high street and specialist we can help you find the right buy to let mortgage for your situation. Give us a call on the above number when you want to talk it through. A buy to let mortgage is a mortgage arrangement where an investor borrows money against a property often in the private rented sector, with the intention of renting the property out to tenants themselves. Buy to let mortgages have many similarities with a mortgage you would take out on your own home. For example, you can do both a buy to let purchase or a buy to let remortgage, the reasons for which may be similar too especially with a buy to let remortgage where you may be looking to release equity from your property or even want to raise for home improvements. Just because the house you are borrowing against isn`t the one you live in doesn`t mean you shouldn`t be able to improve it over time. As with anything where there are similarities there are normally differences too and buy to let mortgages are no different. There are a couple of distinct differences to a regular mortgage contract. Most obviously the property the mortgage is secured on isn`t your residential address. The fee`s and interest rates also tend to be higher as the lenders consider them to be a slightly higher risk. Also the affordability is calculated differently and it can even change from one lender to another. Generally buy to let mortgages are assessed primarily on the rent you are charging, it must typically be 125% of the mortgage payment (so for a mortgage payment of £800, you`ll need to be charging rent around £1,000 per month). The lender`s may even ask for a minimum income requirement which is why it is best for you to give us a call so we can help you out and tell you exactly what you will need. If house prices rise in your area, you could be building extra equity in the property, or even make money on your investment if you decide to sell. As a result of the recent economic crisis, interest only mortgages received a fair amount of bad press and many lenders both high street banks and specialist have pulled back on the interest only mortgages they are willing to provide. This has drastically reduced the number and variation of not only interest only mortgages but buy to let interest only mortgages too. This isn`t necessarily a good thing, interest only mortgages are still a viable option for certain people, especially in many instances with buy to let properties. Martin Whealley, head of the Financial Conduct Authority (FCA) has recently said in relation to interest only mortgages There are two sides to the risk equation consumer detriment arising from the wrong products ending up in the wrong hands, and the detriment to society of people not being able to get access to the right products. First Choice are experienced and trusted mortgage brokers that knows the importance of providing our clients with the right product and that includes for interest only buy to let mortgages too. For example, if you are simply looking to invest in property or develop new projects an interest only buy to let mortgage can provide you with lower monthly payments until you decide to sell the property (before the mortgage term is up) and if you have made gains on the property that extra income could go to fund your next project. For more detailed information on interest only mortgages check out our page on the tabs above. We won`t be put off by the big bad press, we will do what is right for you, so give us a call on the above number and let us help you. In this current day and age investing in property is becoming a very attractive option but with many customers situations changing on a day to day basis it is not easy for them decide upon a property they want to live in. Not being able to decide upon a residential property that you want to purchase should not be a reason that you cannot invest in property at all. Which is why we strive to provide mortgages to people in that very circumstance. To be precise, buy to let mortgages for first time buyers. Although it is possible, there isn`t a huge variety of lenders willing to lend in this situation and those that do may have certain requirements, as with any buy to let mortgage or first time buyer mortgages, imagine combining the requirements of the two and that should give you an idea. We also have products available for first time landlords, whether you want to purchase your first buy to let property or you are lucky enough to have an extensive property portfolio and you want to start renting some out. Give us a call on the above number and let us see if we can help you start the building blocks to a rewarding investment portfolio in property. There`s still a strong demand for rental properties as many first-time buyers aren`t able to afford properties and First Choice Finance can help current and want to be landlords optimise their strategy by finding the right buy-to-let mortgage for them. Figures from the Council of Mortgage Lenders show that 40,000 deals were concluded between and April and July 2013 – the highest number of loans to landlords since the third quarter of 2008. The loans were valued at £5.1 billion – the highest in five years. So there is little doubt that buy to let is back on the map. While much of the growth has been in London, there has been an uptake in interest across the country, with landlords seeking the best buy-to-let mortgages for their portfolios. More lenders are coming back to the market too, meaning there`s greater choice and more need to use the services of a broker like First Choice Finance. We have access to many buy to let mortgage and landlord remortgage plans meaning that we can help you identify the deal you want. Any quotes through us will be offered for free and on a no-obligation basis, so you can turn it down for any reason. However, if you`re happy with the buy to let loan, we`ll get it processed for you as quickly as possible. If you`re looking for a buy-to-let mortgage and want to get an experienced business behind you to make it happen, contact us today online at firstchoicefinance.co.uk or telephone us from a landline on 0800 298 3000, if you are on a mobile then use 0333 003 1505. 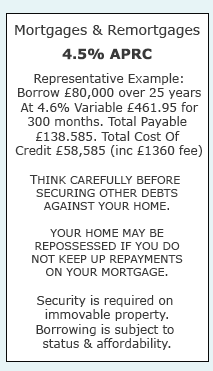 Representative Example: Borrow £80,000 over 25 years At 4.6% Variable, £461.95 for 300 months. Have you got a bad credit rating or been declined finance in the past First Choice Finance have a selection of bad credit loans to suit many unique circumstance contact us and speak to one of our loan experts.